Girl and boy twins gift baskets are two baskets filled with two of the same baby items in each basket will be delivered as one baby twins gift basket. Twin baby basket. 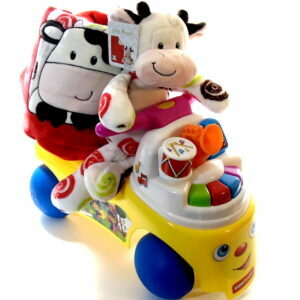 Girl & Boy baby gift baskets are two baskets filled with two of the same baby items in each basket will be delivered as one baby twins gift basket. 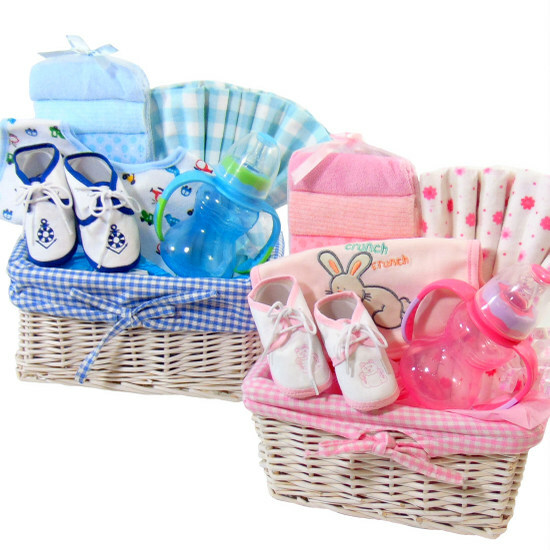 Twin baby basket contains: White baskets with pink checkered liner. Basket with blue checkered liner. Pink bib. Blue bib. Receiving blanket pink. Receiving blanket blue. Carter sets of 5 washcloths pink. Carter sets of 5 washcloths blue. Pink shoes. Blue shoes. Baby bottle pink and Baby feeding bottle blue.